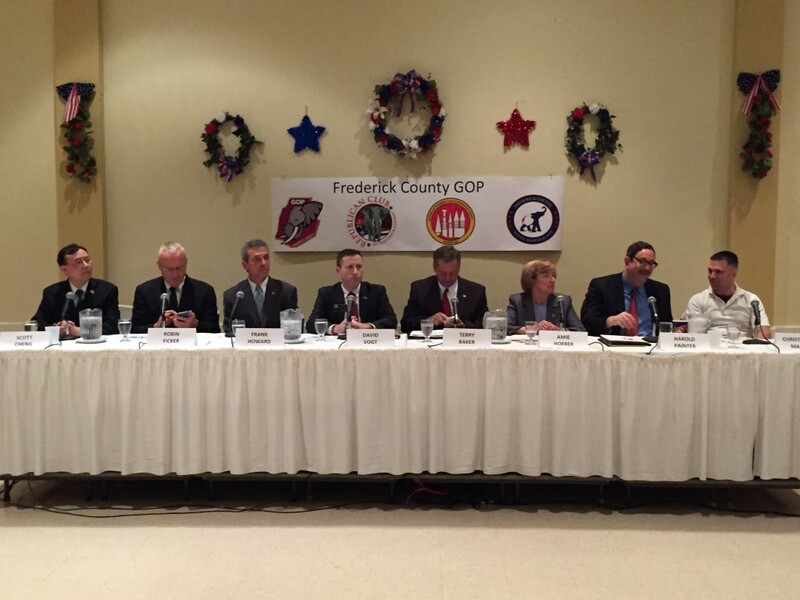 The Frederick County GOP hosted a professional and well-orchestrated congressional debate for the eight candidates seeking the Republican nomination for the 6th Congressional District. Our thanks to all who made the event possible, and a special shoutout goes to Republican Club of Frederick County President Mark Schaff for all of his hard work. We also want to offer our thanks and appreciation to the Charles “Cully” Stimson for moderating the debate. Stimson was fair, professional and well-researched. Well done! For the third consecutive debate, Amie Hoeber overwhelmingly won the Republican straw poll. We hosted a pre-debate podcast, beginning at 6:00 p.m. We interviewed Harold Painter, Dr. Scott Cheng, Amie Hoeber, Christopher Mason and Terry Baker.